Recognition accuracy is the heart of any music-scanning program and Musitek’s new Prodigy Engine® is at the heart of SmartScore X2 (Version 10.5). 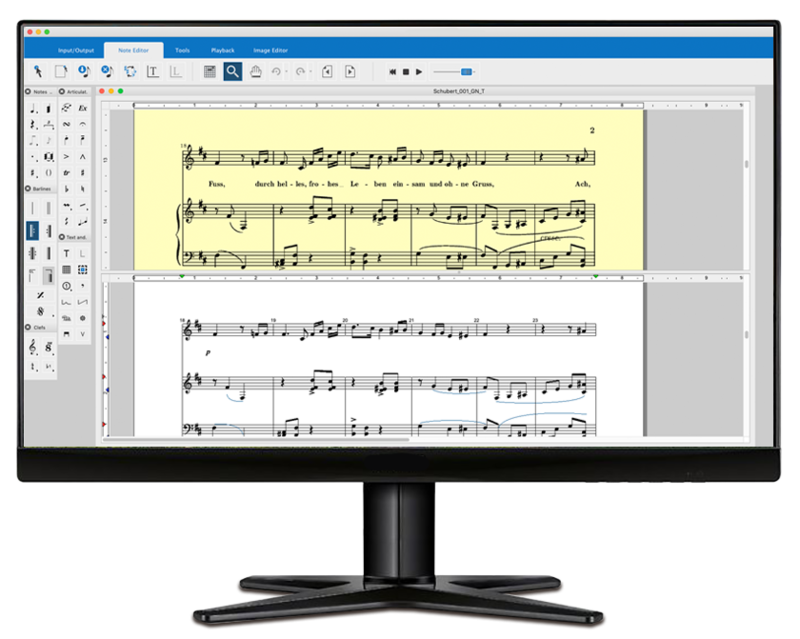 Musical scores, whether scanned or downloaded as PDF files, are read and interpreted more accurately, more completely and more quickly than any other music scanning software. Improved recognition of musical symbols, especially on poorly-printed scores and from scanners with less-than-optimum optics. Improved text, lyric and number recognition (OCR). Improved CD burning and .WAV / .AIF recording with Garritan sounds. Change instrument sounds anywhere in the ENF notation view window. Listen to a 9-part score recogized & played back by Pro X2 & Aria. 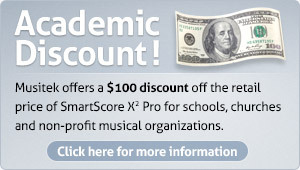 Jump to an online review of SmartScore X2. Video included.